I have two sons. They have collected a LOT of Nerf guns over the years. A couple of them have been jammed and unusable for quite a while. When I heard about the first Repair Café in Cary, I thought it might be an opportunity to see if the guns could be saved from the trash. The helpful volunteers at the event were able to fix one gun and due to time constraints they encouraged me to have my son work on the other at home. I was reminded that pretty much everything has a “how to fix it” video available and a kid who likes to tinker could take a stab at it. Repair Cafés are popping up all over the country and lucky for us, Cary hosts one a month. Find out what a Repair Café is at http://myfox8.com/2017/06/14/repair-cafe-group-fixes-broken-items-in-cary/ and check out my quick cameo at about 00:42. It was a wonderful community building event that helps prevent landfill trash one fixed appliance, necklace, and Nerf gun at a time. For information on upcoming Repair Café events in downtown Cary, NC please visit cary.repaircafenc.org. You can volunteer to put your repair skills to use or sign up to have an item repaired. My personal victory resulted from a problem with our coffee maker. It was leaking on a regular basis but it still worked so our initial reaction was to donate it to charity and then get a new one. 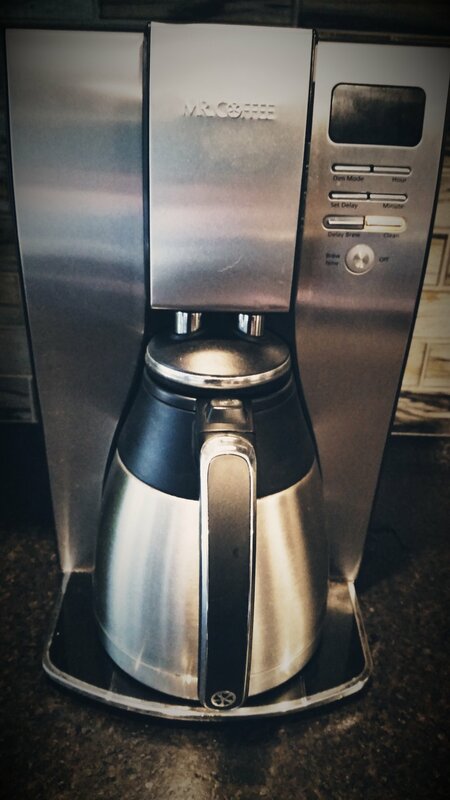 The thing is, we didn’t want any different features and we liked this coffee maker just fine. With my new REPAIR attitude I decided to put my best effort into taking it apart, cleaning it and finding the cause of the leak. It turns out that there was a buildup of crud clogging up key internal parts. Giving the coffee maker a good cleaning through and through seems to have fixed the problem. No more leaks! I fixed it! Additionally, I had been unable to clean the dark brown/black buildup at the bottom of the carafe with the usual scrubbing. Then I tried good old fashioned steel wool combined with determined elbow grease. All the black buildup came off and the carafe looked shiny and new again. What have you thrown away lately that could have been fixed? What have you recently repaired in your home to avoid the landfill? Electronics, appliances, toys, clothes, jewelry? It’s time to rethink our old habits, one repairable item at a time.